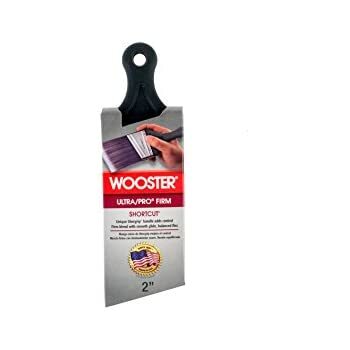 Amazon's Choice for "wooster paint brush"
I won't paint trim with another brush again. I got the bright idea to repaint every square inch of trim in my house. This was a horrible idea, but once it was in my head, there was no going back. The old trim was a gross, dirty looking "cream"/yellow. I painted everything Sherwin Williams Alabaster, which is a slightly warm white. This design kept my hands from aching and blistering. 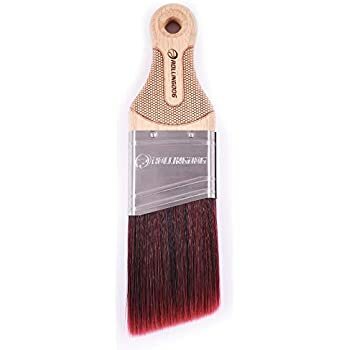 Unlike a wood handled trim brush, the handle on this brush is flexible and has a little bit of "give" to it. Cleans up with with a dedicated brush cleaner. The bristles are soft and very dense. It picks up a good amount of paint even with just barely dipping in the tips of the bristles. And most importantly for my task, the bristles splayed very nicely and evenly which let me cut in with only using minimal tape (I used frog tape to cover areas where I have shoe molding that matches the floors. I know, I know, I need to replace that too. I'll get to it). 8/12/2017 FYI - I went to Ace yesterday to pick up a new paint tray and saw these brushes; the EXACT SAME ONE was $8.99 just to let you know. 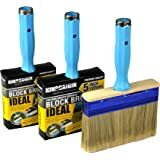 8/1/2017 update - I liked these brushes so much I purchased another one of these and a smaller one. 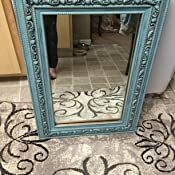 Works very well on furniture. No streaks and glides across the wood. 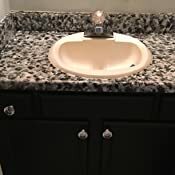 I bought this because I'm updating the vanity in a bathroom and quite a few people recommended it from paint and polyurethane reviews because it eliminates streaking. I am glad I read the questions here as now I know that once I use the polyurethane I'll basically have to throw it away. I'll do that step last. Thanks for the tip! 5.0 out of 5 starsVERY short handle, rubberized so it moves a lot. on his job painting walls and ceilings. He needed something to "cut in", especially around the door frames. I ordered one of these little brushes for him to try out. He loves the Wooster brushes, one of only two brands he'll use. handle took a little getting used to. areas, it is really, really short! He has very large hands, so it's a bit of a challenge. Overall, he liked it. Not so sure I would purchase them again though. Love this brush! 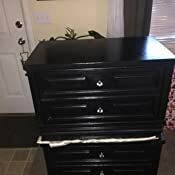 So easy to use and the flexible handle works great on all my refinishing chalk paint projects! I added pics to show the different items I have used it on so far, and it's still holding up strong! 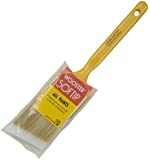 5.0 out of 5 starsOne of my favorite paint brushes! 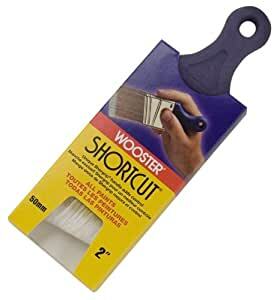 This has become one of my favorite brushes for cutting in. I doesn't stress my hand like larger brushes sometimes do and it creates a very nice, sharp line with minimal effort. 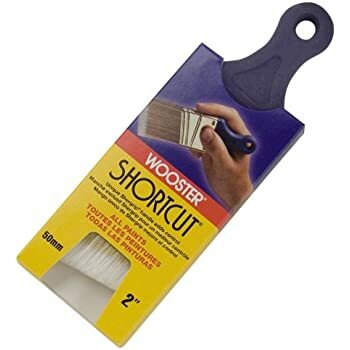 I wasn't sure that I would like its small size because I have large hands but it is one of the first brushes that I grab for many small painting jobs. 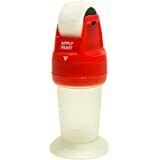 Its small size also makes it great for getting into small or hard to reach spaces when painting furniture. 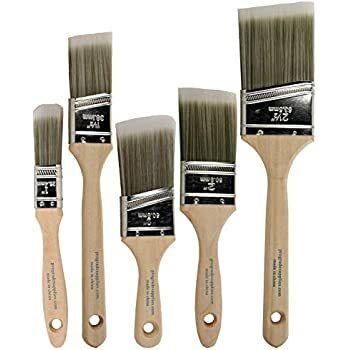 I'm a long time Purdy nylon/poly brush user in the midst of painting a lot of exterior wood trim. 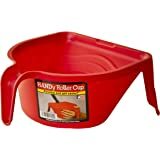 Because of the short handle on this product, I decided to order one to alternate with my Purdy that I'd shortened with a saw. In my view, the Purdy brush is much, much better. For one thing, there's far less drag/brush resistance with the Purdy. The paint glides on easier and smoother. Secondly, I dampen my brushes before use and clean them about once an hour to keep paint from clumping on the bristles, before resuming. 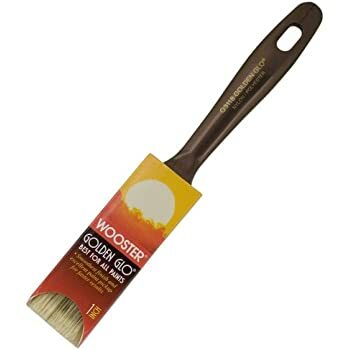 Because of the bristle material, paint adhered to the Wooster brush much faster, and was much more difficult to free from the bristles, even with the Wooster comb, than from the Purdy. I'll keep sawing down the handles of the Purdy brushes because I think they're just far superior to use and maintain. I do a lot of home modeling and craft projects. I love these and use them for every project, plus they fit in a sandwich size zip-top bag if you need to take a break but don't want to let them dry out. They are easier for me to handle for detail jobs and cutting in around edges. The quality is great and they are easy to clean. 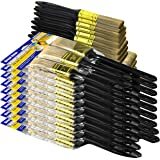 Don't order the insane Amazon 'package' deals where they have 3 or 6 or 12 for a hundred dollars. Just order more of the individuals. I don't understand that marketing and hope it's just a computer glitch but I've seen it on a lot of small items lately on Amazon. Was in fact a great painting brush to purchase and use. 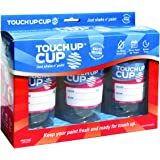 I read about it on a DIY website/article on painting 101 tips and they had a direct link to this item. 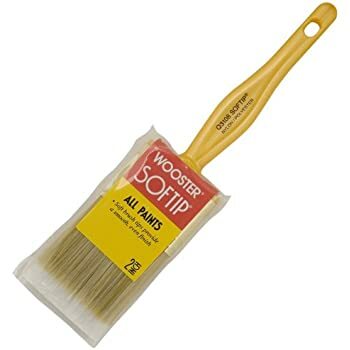 Bristles are strong, yet soft & flexible (unlike the ones I bought from a Major CHEAP multi-mass production Home Furniture store...that just fell apart or was ruined after one use because I couldn't get all of the remaining paint out). 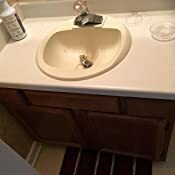 But yeah I didn't want to risk ruining them and having to purchase paint brush for such small jobs around the house so I did try to give it a good rinse after every job but I did get lazy a time or two and just dip it in a bucket of water and pushed out what remaining used paint I could. Luckily the next day the Paintbrush wasn't ruined and hardened up! It was just as soft as when I first bought it and ready to use. Will definitely purchase 'Wooster Brushes" from now on!